"...support agent reportedly said, adding that the update has been temporarily paused..."
The days to keep an eye on your Windows 10 computer are during or after the second Tuesday of April and October of every year. This is when Microsoft releases their biannual update (read "upgrade") of the Windows 10 operating system. You do NOT want to be caught in the middle of something important, then find out your pc is going to be busy for the next 60 minutes to 3 hours choking down the latest Windows 10 version. I usually force mine to get the update (upgrade). I'm a little concerned because I can't get my computers to update. 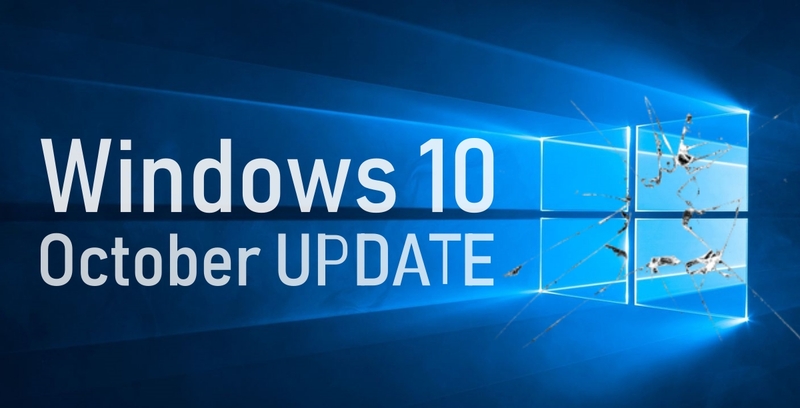 Two computers that got a fresh install of Windows 10 this week have gotten hung up on the October 9th security update. Each computer failed to install it twice, and did a subsequent roll back. That never gives me a good feeling. I'm the guy who is supposed to fix computers... when Microsoft gives us crap, I can't make lemonade out of it (believe me, I've tried!). Never fear, this is quite normal. You buy a brand new car, you take it back to the dealership for 24 months getting the "recalls" repaired. Windows 10 is the same. Things will smooth out in a few weeks. If you need help, I am here for you, my faithful customers. Give me a call 11-6, Monday-Friday. After hours, leave a message; I WILL call you back. Are you not using Windows 10? Are you still on Windows 8? Windows 7? Keep an eye on your calendar; watch those "end of support" dates.